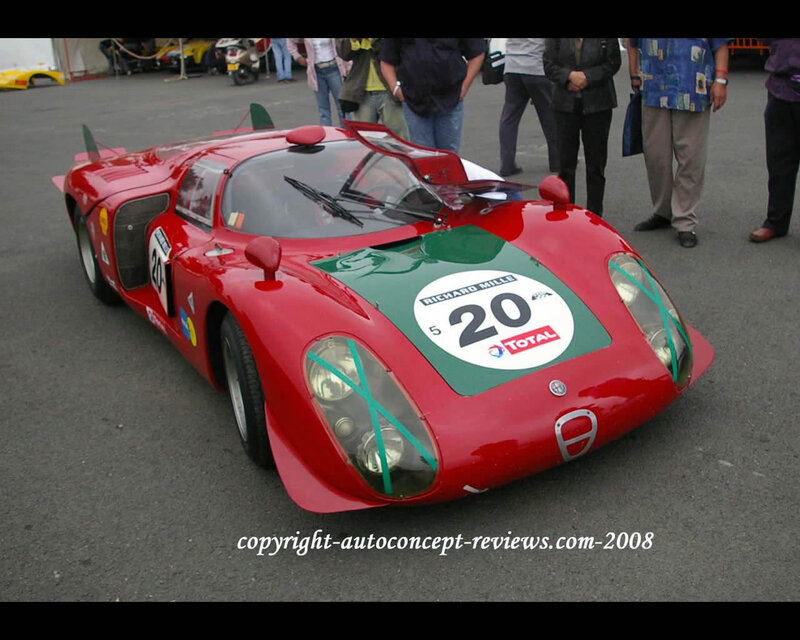 The Alfa Romeo 33-2 was propelled by a 2 Litre V8. 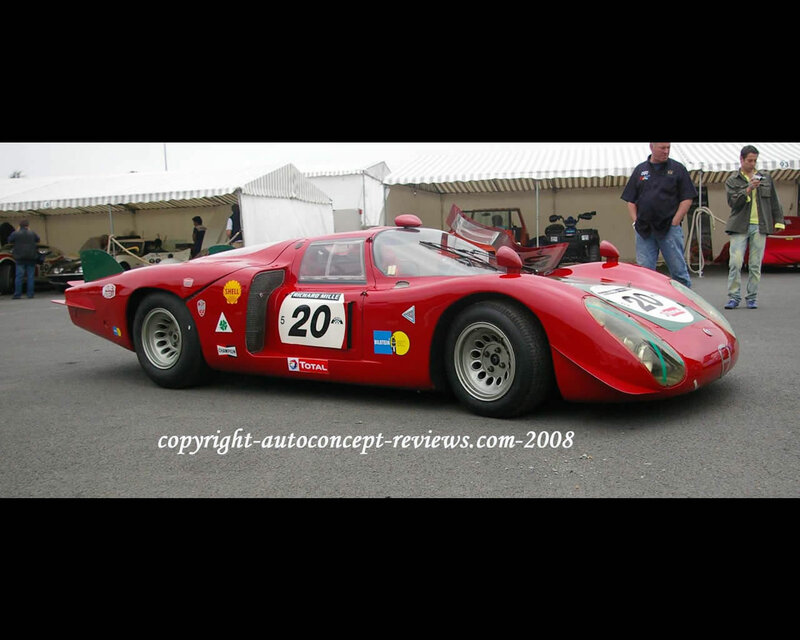 It finished 1968 24 Hours Le Mans in 4th, 5th and 6th position. 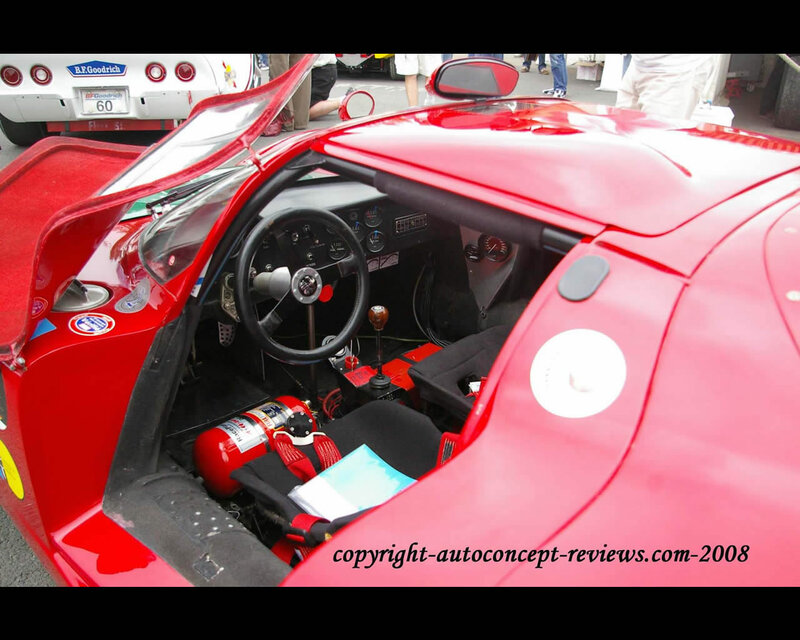 The car in the pictures participated at Classic Le Mans 2006.